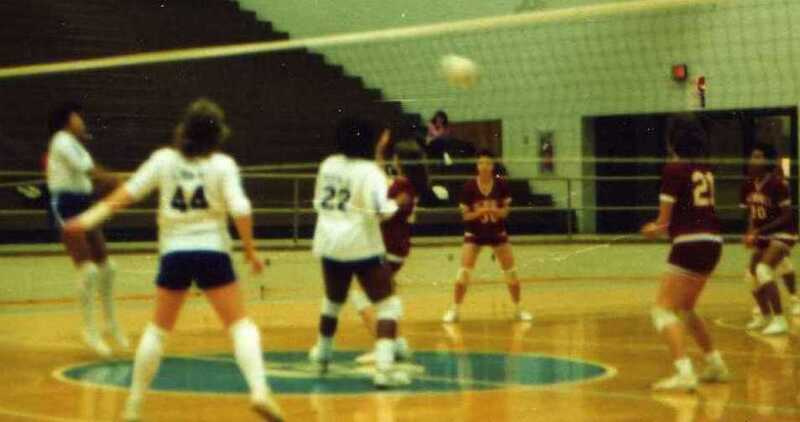 Bassett High Bengal Volleyball Page of Photos: 1987!!!!!!!!!!!!!! District Regular Season And Tournament Champs! One of our all-time favorite pictures! I remember Brian Stump coming to me saying, "Tunstall brought a sign. 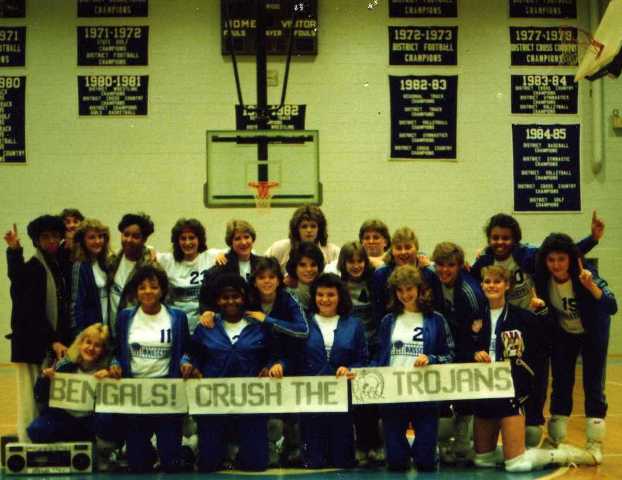 It says 'Trojans crush the Bengals'," and I'm like, "Nothing we can do about it!" we tore it apart, rearranged it, and took this picture. 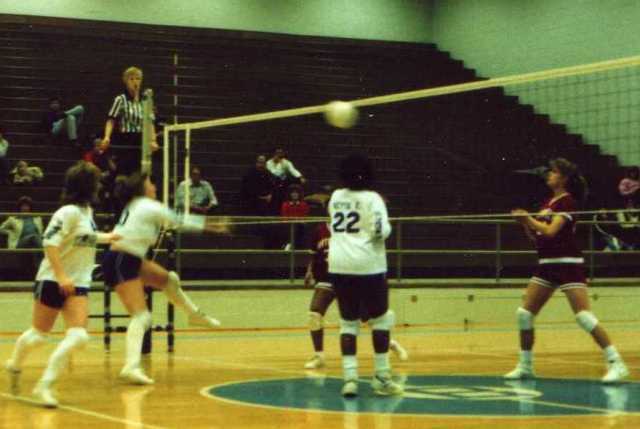 Donna Holland, the 1987 District Player Of The Year and team MVP, shows her mean tip. Jennifer Mitchell was not only district high jump champ every year, but also was district record holder for 15 years. 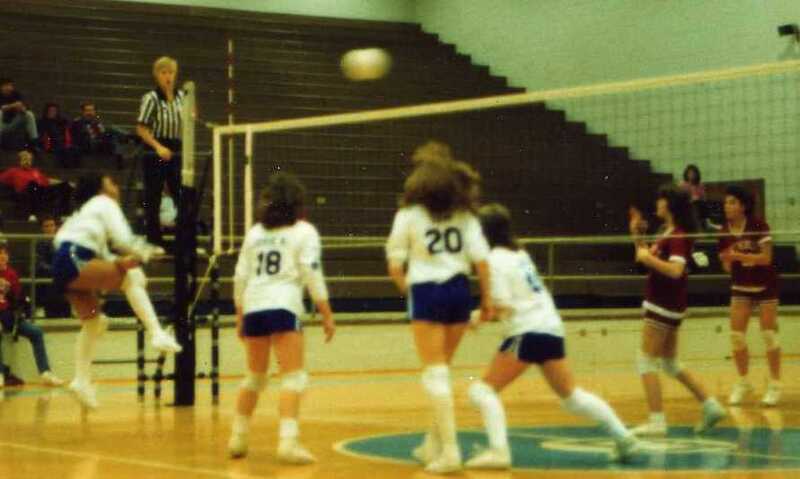 Joyce Boyd played vball every year while at Bassett. 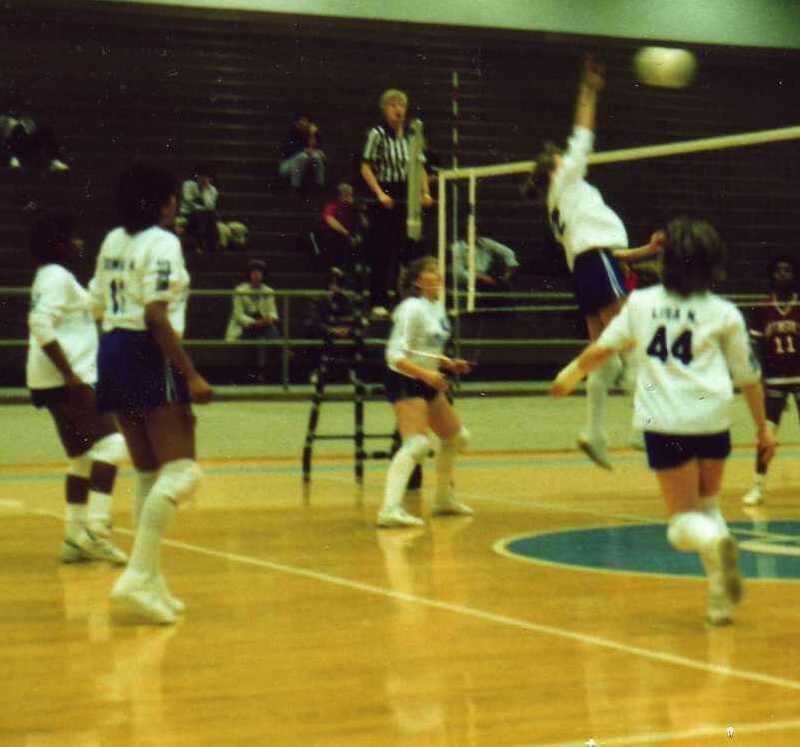 Trekeyta Easley, also a 4-year player, loved to set the bad passes. Sami Hairfield shows her form against Martinsville. We ran a 5-1 that year with Lisa Nunn, who you see about every picture! 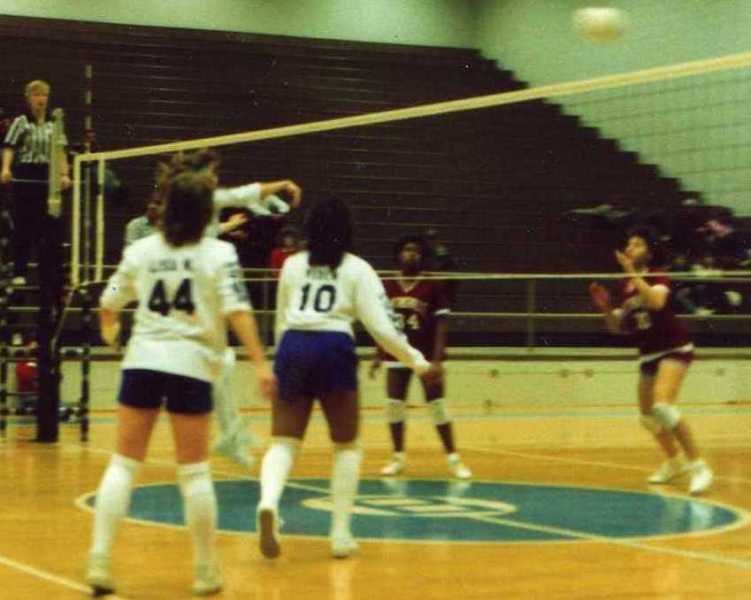 Vixen Green was a great addition to our 1987 team! She could do everything! 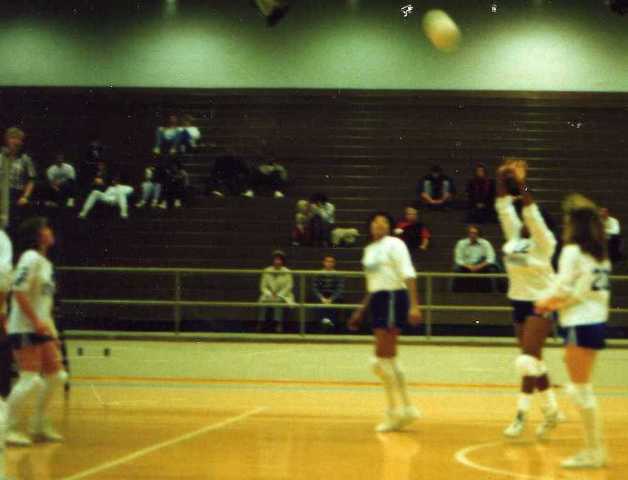 Cindy Young ('88) shows her two-hander. 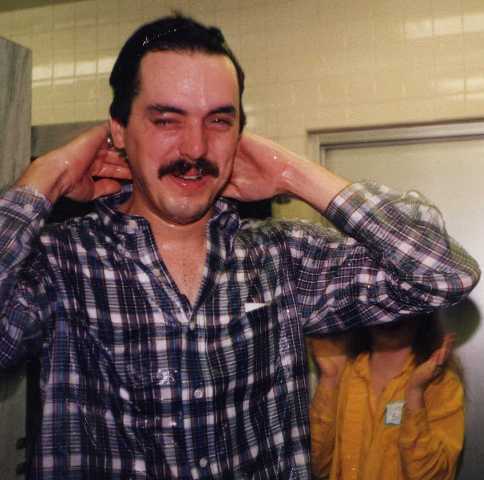 When we won the district tournament for the 5th straight year, Coach Houser got soaked!